Lend a subtle texture to your hand with this elegant silver ring. 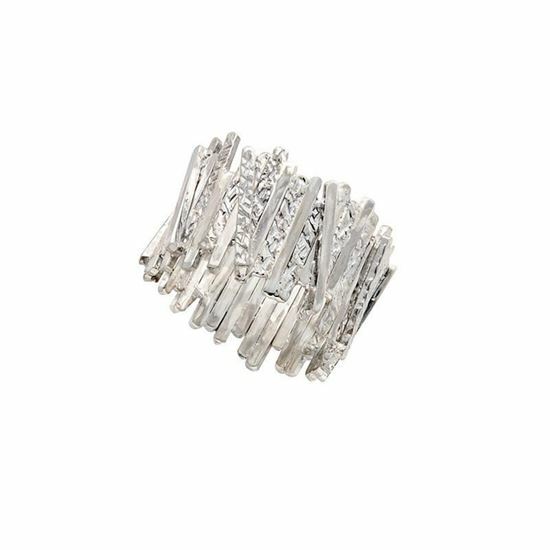 Crafted from sterling silver, the hammered and polished textures give this ring a truly unique look. This ring has been designed and handcrafted by Scottish jewellery designer Chris Lewis. Complete the look with the Architectural Bangle, Earrings, Necklace and Pendant.